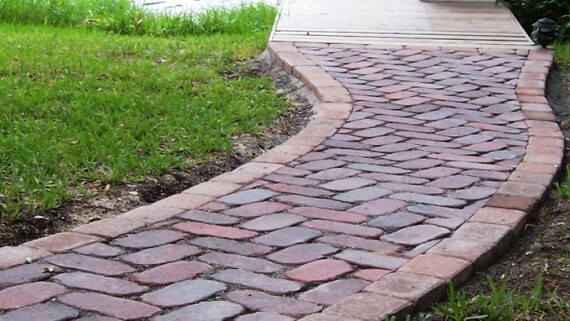 Efflorescence is a natural process, but if you stay on top of it, you can keep your pavers protected. Problem: White powdery substance on the surface of pavers. Efflorescence result from water or moisture that is in, or passes through the concrete paver, dissolving salts of the concrete and floating it to the surface in liquid form. As the moisture dries, the salts are left to dry as powder and will be attached tightly to the surface. If this powder is left to be wet and dried as the temperature and elements change, it could become crystallized and more difficult to remove. This is a common occurrence of nature and is not the result of the manufacturing or the installation process. Cleaning and protection of a surface from efflorescence is possible but not always easy. The use of effective products and methods are most important when planning for removal of efflorescence or protecting against its appearing. We will write more on this subject in the future but for now, you may contact us for answers to questions or problem you may have.